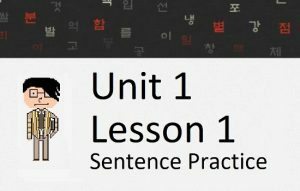 Welcome to Unit 3 of HowToStudyKorean.com. My wife told me that she taught you some lower-intermediate Korean grammar! That’s good, because in Unit 3 you will learn grammar that is a step up from what she taught you! Vocabulary lists will continue to be 30 words per lesson. 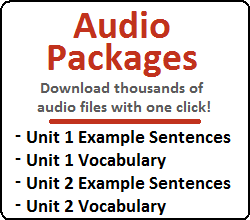 In this Unit, you will learn more grammatical principles that will make you sound like a fluent Korean speaker! 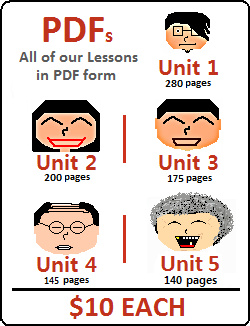 Lessons 51 – 58: In these lessons, you will learn a wide variety of intermediate Korean grammatical principles. First, you will learn how to use ~하기도 하고 하기도 하다. Following that, you will learn how to make a variety of quoted sentences, and then learn how to say “or.” Finally, you will learn how to say that you “make” somebody do something. Lessons 67 – 75: In these final lessons of Unit 3, you will begin learning how to use ~처럼 and ~듯 in sentences. Following that, you will learn another way to say “only” using ~밖에 (없다). 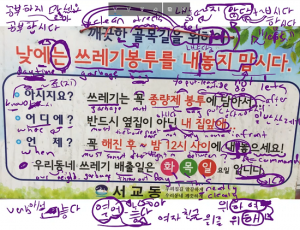 Then, you move on to a variety of lessons where you will learn important grammatical structures with the words “instead,” and “to include/exclude.” After that, you will learn about ~만큼/정도, followed by “I don’t care” and “it is irrelevant if…”. Unit 3 Test: At the end of each unit, there will be a Unit Test where you can test yourself on what you learned from the previous 25 lessons. Use this Unit Test to test yourself on what was taught in Lessons 51– 75. All finished with Unit 3? Click here to see the lessons in Unit 4.